There are two important aspects in cooking; one, “is do it right”, and two, “is get it right”. 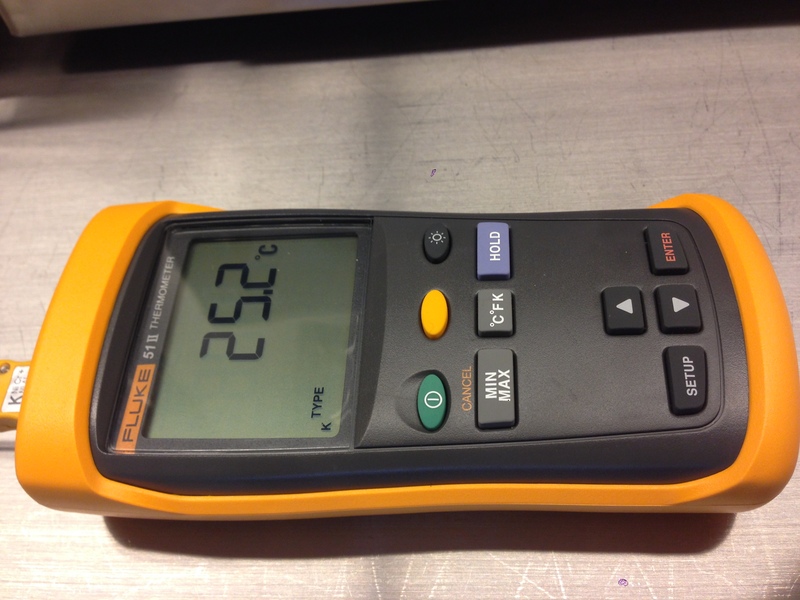 There are various suppliers of instruments to measure temperature, some are more reliable than others. These past months, I was searching for the best instrument to measure temperature. It isn’t my first professional instrument since I trained with Bruno Goussault in his Paris lab. I cannot rely on my oven given it fluctuates in temperature by 5-10°C. So imagine you are cooking at 80°C and the oven is going up and down the entire cooking cycle. This makes it impossible to work accurately, or to cook with dead set accuracy. This is why so many turn to a water bath, the temperatures are so much more precise. In order to combat the temperature fluctuations, I use a thermocouple and a needle probe to measure core temperatures. This way I can cook with comfort and walk away from the oven, return to see how my meat/poultry is cooking and achieve better results.